Treadmills cost money to buy and to run on, while enjoying the outdoors and immersing yourself into your community is free and keeps it interesting - unless of course you use one of these! 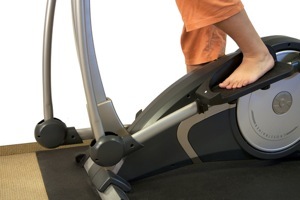 Treadmills require energy and energy costs money, whereas running or walking outside costs nothing and has been proven to be beneficial, especially if you exercise in a park or natural environment. Try not to run near a main road or highway to avoid increasing your risk of breathing in air pollutants. There are multiple benefits to mental and physical well-being from taking exercise to the natural environment, such as an improvement in mental well-being: compared with exercising indoors, exercising in natural environments was associated with greater feelings of revitalization, increased energy and positive engagement, together with decreases in tension, confusion, anger and depression. Participants also reported greater enjoyment and satisfaction with outdoor activity and stated that they were more likely to repeat the activity at a later date. Learn more. This not only saves you money and packaging from the beginning, but reduces the length of your showering saving you additional time, money and water. Try to find postconsumer recycled shampoo bottles which also helps reduce plastic, cuts down on waste and takes less energy to make since recycled plastic requires far less resources than virgin plastic. Discover these 2 in 1 conditioners and more with Aveda and Evan's Garden! Instead of buying plastic bottles of water prior to an exercise, purchase one reusable bottle and fill it with filtered tap or from a water fountain and you could save yourself $200 per year and plenty of plastic waste. 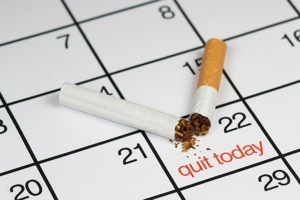 It is well known and common knowledge that smoking affects human health in wretched ways, but little is known or considered about the environmental impact of smoking as well. About My Planet, eHow Health, and Four Green Steps describe precisely how cigarettes are environmentally damaging. Do it for yourself, do it for the planet and discover how to quit! 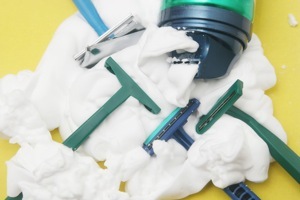 When purchasing shaving gel, avoid the ones made from aerosol chemicals, which are derived from petroleum propellants. This will reduce your direct consumption of petroleum and of course it’s always healthier not to rub aerosol chemicals on your face almost daily. Discover Paula's Choice close comfort shave gel with easy rinse non-aerosol formula! Also, you could always just use soap, although that may cause some dry skin. Wood has the potential to biodegrade whereas plastic casing for the pencils or liquids does not. Ever wonder how toxic your household cleaning supplies are? The Organic Consumers Association found that in 2000, cleaning products were responsible for 10% of toxic exposures reported to the U.S. Poison Control Center, which accounts to 206,636 calls where 120,434 involved exposure to children under 6 years of age. 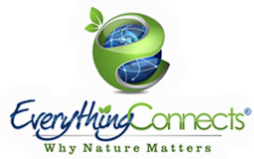 With the help of Environmental Solutions, All-Green Janitorial Products, Low Impact Living, Eco Concepts, and Seventh Generation, you and your family can live healthier and safer while maintaining the same clean home. Discover the best non-toxic ways to clean your home! Disposable plastic razors aren’t biodegradable or recyclable and take much more energy to produce. Also, in the long run, a quality razor with refillable blades is less taxing on your wallet than constantly buying new disposable blades and you get a better and safer shave! Learn more. 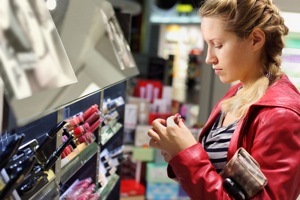 Most traditional fragrance products contain chemicals from petroleum causing negative environmental health effects. 800 million pounds of these chemicals are used annually to make fragrance products and thus are considered one of the most consistent and pressing toxins in the environment. Learn more. If your lotion uses a pump dispenser, you can prolong its life and avoid it being sent to the landfill by purchasing refill containers with a flip top and simply reusing your empty bottle. You can even save money by making your own liquid foam-soap refill. Yes, the organic movement has reached tampons as well. Reason is conventional cotton tampons are made from pesticides and bleaches which pollute the water, soil and air. By switching to organic tampons, you can help eliminate the demand for and use of pesticides and of course, it’s the healthier choice. Learn more. You will get the same results, except you save on energy costs and on the initial purchase price, which is typically less. You can save .8 kilowatt hours of energy for a 45 minute workout. Add that up and you'll begin to see the cost and energy savings! You can even turn your workout into a power generator! Instead of using synthetic nylon sponges, which are made from petroleum and can’t be recycled, you’ll avoid the environmental cost of disposing this product and conserve the energy used to make it. Learn more. This will reduce your exposure to disinfectants, bleaches, and harsh detergents and lighten up the laundry loads and water use for gyms. 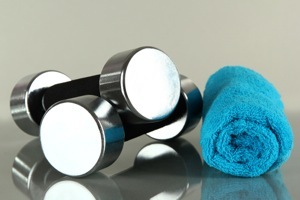 Also, many gyms now charge for towel use. You can reduce the amount of energy used to make and ship the plastic or glass packaging, reduce your costs and the amount of waste discarded at the end of its life-cycle for each time you buy a refill instead of an entirely new container. Learn more. 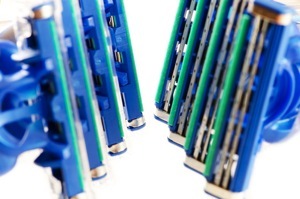 Not only is this cost effective, it saves greatly on packaging waste. A 16oz body liquid wash costs an average of 4 times more than soap, so using 4 bars of soap will last as long as (an average of 80 showers) and cost the same as one bottle of liquid soap - minus the packaging waste. Discover healthy, organic, sustainably-grown soap! This remarkable video examines the pervasive use of toxic chemicals in our everyday personal care products, from lipstick to baby shampoo and outlines ways we can move the industry away from hazardous chemicals and towards safer alternatives. About 100 million gallons of mineral oil are used each year in the United States. Learn more. Antiperspirant deodorants use aluminum salts to seal up your pores. Aluminum takes an immense amount of energy to mine and is a potential health toxin.Aluminum has been associated with a variety of health issues, including seizures, Breast Cancer, Alzheimer's Disease, Bone Formation Disorders and Kidney Problems. Learn more. This is the healthier choice and reduces petroleum production. 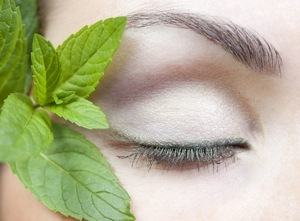 Learn the 5 steps to a green, cosmetic makeover! The average woman ingests up to 7lbs of lipstick in her lifetime. Choosing lip color made from plant-derived ingredients over synthetic oils, toxic coal tar dyes paraffin waxes is not only much healthier, but reduces the total petroleum product consumption as well. Lipstick formulations vary, but generally speaking conventional versions are filled with controversial ingredients that have been linked to everything from cancers to hormone disruption to birth defects to skin or eye irritation. These include parabens, fragrance, dyes, acids, and many petroleum-derived ingredients. Learn more.